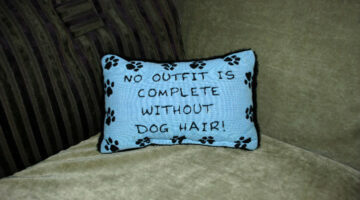 Need a great gift for your favorite pet lover? 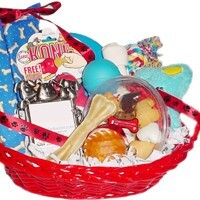 There are so many great gifts for dog owners, but how do you choose? We'll help with that. Here you'll find all of our favorite gifts for dog owners, the best and worst dog toys on the market, and great personalized gifts for dog lovers. My Favorite Pet Bowls For Dog Food & Water: They’re Stylish, Affordable And Durable! Dog flowers are not just cute, they are also a conversation starter! 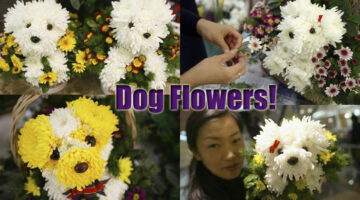 You can make your own dog flowers out of real flowers or artificial flowers — it doesn’t matter. Here’s a video that shows how to make dog flowerpots. I always worry whenever friends or relatives come over, because I realize they’re probably not used to finding dog fur on their clothes quite as often as we are. 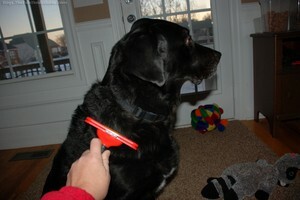 When you’ve got dogs, dog hair is just something you learn to live with — day in and day out. It has a way of showing up in the strangest places… and this fun pillow acknowledges that! Check out the following pictures of dog flowers. Some are made with REAL flowers. Others were created by placing a real dog behind a painted picture of a flower.Both are fun! Check out this USB memory stick that’s sure to be a hit among all of your computer geek friends! It’s the perfect gift for log lovers who like fun new computer gadgets… and have a sense of humor. 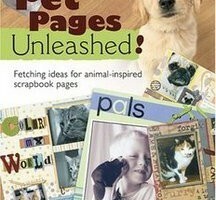 Pet Pages Unleashed – a great book of scrapbooking ideas for scrapbookers who have dogs! Treat yourself to a digital painting that looks like real hand-painted art — at only a fraction of the cost. All you need is a digital photo of your dog! Do you know a dog lover worthy of an award? The ASPCA needs your help in identifying extraordinary animals and animal lovers who have furthered animal welfare in the United States over the past year.